Communication studies is a fragmented field. As a result of its roots in various disciplinary traditions, it is built on fluid intellectual boundaries with no theoretical or analytical center. Should we worry about this state of dispersion or be concerned that the discipline does not meet the basic conditions that define an academic field of inquiry? 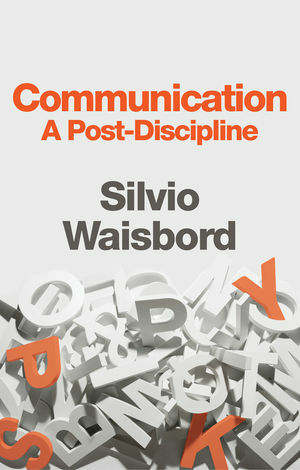 Silvio Waisbord argues that communication studies is a post-discipline and that it is impossible to transcend fragmentation and specialization through a single project of intellectual unity. What brings communication studies together is an institutional architecture of academic units, professional associations, and journals, rather than a shared commitment to a common body of knowledge, questions, and debates. This should not, Waisbord argues, be a matter of concern. Communication studies is better served by recognizing dispersion, embracing pluralism, fostering cross-cutting lines of inquiry, and tackling real-world problems, rather than hoping to meet conditions which would qualify it as a discipline. Silvio Waisbord is Professor of Media and Public Affairs at George Washington University. Chapter 4: What has Globalization Wrought?